Who can resist a tasty sundae, or a thick, malted milkshake? I’m all about the chocolate soda and the banana split. No matter your favorite flavors of these frozen treats, the ice cream parlor was once the place to go after games, dates and dinner. Most of these parlors from yesteryear are long gone, but that doesn’t mean you can’t bring the design of one into the home. These removable wall decals are available exclusively from Retro Planet. Just peel and stick, and that kitchen, dining area, or made over basement is now a full-fledged restaurant, soda fountain or ice cream parlor. Available in sizes from 12″ to 48″, you can go big or small, and they’ll stick to any smooth, flat surface, including the fridge! They’ll work great in the office lunchroom or eatery, too. 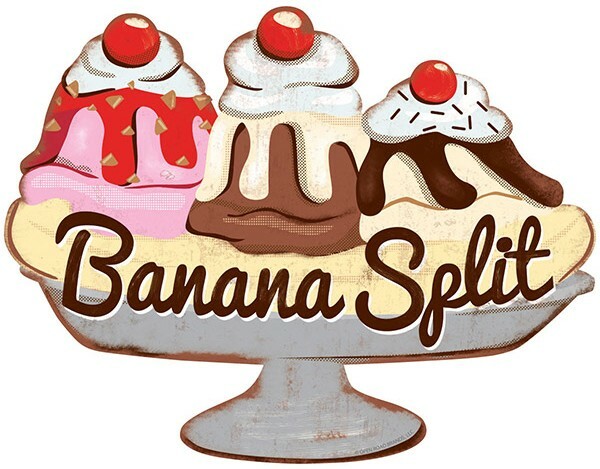 The traditional banana split recipe calls for a scoop each of chocolate, vanilla and strawberry ice cream. Line up the scoops in the center “lane” of a banana boat dish. Peel a banana and cut the ends off, and slice it in half lengthwise. Line each half of the banana on the outer “lanes” of the dish. Top the vanilla scoop with pineapple, the chocolate scoop with chocolate sauce, and the strawberry scoop with strawberry sauce. Top each scoop with whipped cream and walnuts. Top the whipped cream with a cherry. This nostalgic designed wall decal is available in widths up to 36 inches. The best chocolate soda I’ve ever had is at the Ghirardelli Ice Cream & Chocolate Shop in San Diego, Calif. While they don’t give out their recipe online, I’ve watched them make it plenty of times, and this is pretty close. Mix 4 tablespoons chocolate syrup (the real stuff) and 1/2 scoop of chocolate ice cream in the bottom of a soda fountain glass until it’s nice and smooth. Add 2 ounces of soda water (carbonated water) and stir. This is to help prevent the soda from over foaming like a float. Add an additional 6 to 8 ounces of soda water and stir until the color is even. Add another scoop of chocolate ice cream and stir lightly. 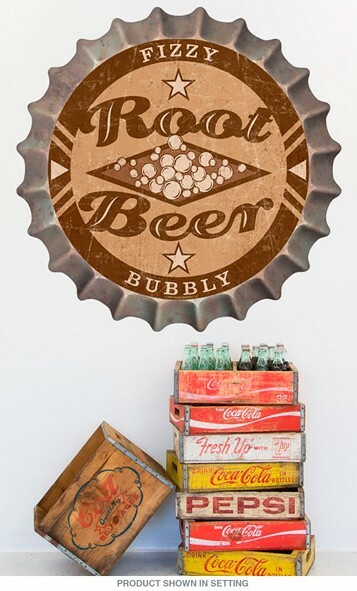 Classic designed bottle cap wall decals add great finishing touches. Also available in orange, cola and ginger ale. You probably won’t see the Black Cow on the menu board at your local ice cream shop, but it was a fave for years. This spin on the ice cream soda calls for 3 ounces of chocolate syrup and 4 ounces of root beer, which is stirred together. Then add two scoops of vanilla ice cream, and more root beer until it’s nice and foamy. There are plenty of other tasty treats, including ones that were regional favorites. In my neck of the woods we’d order a dusty road, which was a sundae made of vanilla ice cream and chocolate syrup, with powdered malt sprinkled on the top. Yummy! 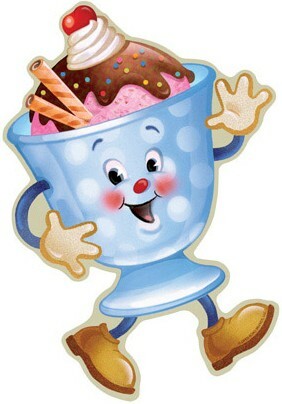 Do you have a favorite ice cream concoction? Share your recipes and memories below. And if you decorate your own “parlor” with these decals, we’d love to see pictures!